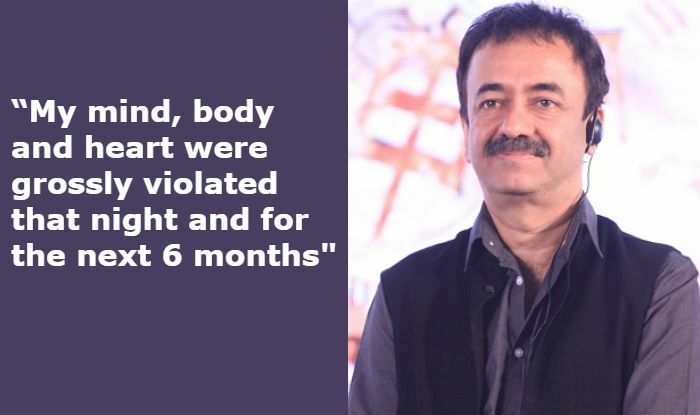 Filmmaker Rajkumar Hirani has spoken out after being accused of sexually harassing a female employee while shooting Sanju. In his statements to Bombay Times, published on Twitter, he has denied all the allegations and said that it’s an attempt to malign his reputation. The daily quoted the filmmaker saying, “I was completely shocked when these allegations were brought to my notice about two months back”. He has also questioned the woman’s decision of reaching out to the media to express her story. He has added, “I had suggested immediately that it is essential to take this matter to any committee or any legal body. The complainant has chosen to go to the media instead. I want to very strongly state that this is a false, malicious and mischievous story being spread with the sole intention of destroying my reputation”. In a report published by Huff Post India, the woman has claimed that Hirani harassed her more than once over a period of six months between March and September 2018. Her statements to the website also revealed that she had written a complaint about harassment on mail to Hirani and his colleagues including Vidhu Vinod Chopra, Anupama Chopra and writer Abhijat Joshi. She said on the email, “I remember forming these words on my lips – ‘Sir. This is wrong…Because of this power structure. You being the absolute power and me being a mere assistant, a nobody – I will never be able to express myself to you.’ My mind, body and heart were grossly violated that night and for the next 6 months”. Denying the allegations Hirani’s lawyer has stated, “At the outset, our client states that the allegations made against him are false, mischievous, scandalous, motivated and defamatory”. Here’s what the complainant said in her statement to the website: “I had no choice but to be polite to him. It was unbearable but the reason I endured it all, until I couldn’t, was because I didn’t want my job to be taken away from me, and work to be questioned. Ever I was worried that if I left midway, it would be impossible to find another job in this industry if he were to speak badly about my work”.